There's no reason for sneezing and wheezing! The Allergi Group, started by Dr. Roberto Garcia-Ibáñez, has been providing care to patients ranging from infancy to adulthood since 1987. We specialize in diagnosis and treatment of respiratory allergies, skin allergies including hives and eczema, food, insect and drug allergies, and immune deficiencies causing recurrent infections. Dr. Garcia-Ibáñez is Board-Certified by the American Board of Allergy and Immunology. We have a highly trained staff here at The Allergi Group. Call today to set up an appointment! Learn more about our allergy treating process. If you think you may have allergies, call us today! We accept many insurance companies. View our list of acceptable insurances or call and ask! As seen on Fox News. For some, allergies are a nuisance that is often transient (seasonal) or persistent (perennial) that may be easily treated with over the counter remedies or prescription allergy medications. However, these medications have side effects and need to be taken on a daily basis. For others, allergies are substantial health issues that impact all aspects of their quality of life. For these individuals and their families, allergies are life-altering conditions. In addition to receiving the most current scientific medical care and diagnostic procedures, patients requiring “desensitization” have access to advanced, state of the art European standards of treatment. 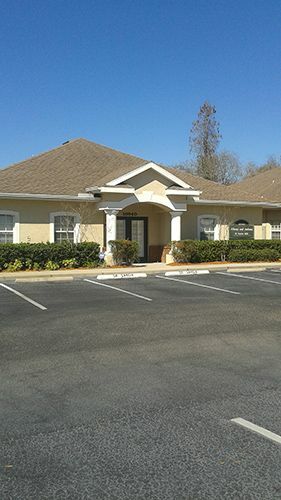 This approach (SLIT) "sublingual immunotherapy" or drops is unique to the Allergi Group in the Tampa Bay area. If you are suffering from allergy-induced symptoms, please give us a call for an evaluation. * A $50.00 cancellation fee will be charged to patients cancelling appointments without giving at least 24 hours advance notice.